Not the kind of blood-curdling, shivers down the spine stuff you understand, Hallowe’en is over for another year after all, but scary nonetheless. In it, I was in a film, a rather peculiar film in that it was a lice-action/CGI hybrid version of that classic Disney cartoon, DuckTales. Yes, you read that correctly. How it came about, I do not know, although I sure hope it is not a premonition of some kind that is a window into the future. As an animation fellow, that would be unthinkable, a crime against humanity even! Well, since then, I’ve been pondering the whole thing on and off and I’ve come to the conclusion that such a feature may well be within the realm of possibility for the foreseeable future for a number of reasons. Firstly, Uncle Scrooge is one of Disney’s most successful characters (he’s had his own comic since the 50s after all). I could probably still recall the many, many comics I read as a kid at the kitchen table as I ate my breakfast and supper. The original stories by Carl Barks and the more recent stuff by Don Rosa continue to attract fans the world over. So it is safe to say that the character is far from being hung out to dry. Secondly, such a film would not be the first time that Disney has capitalized on the character or universe. 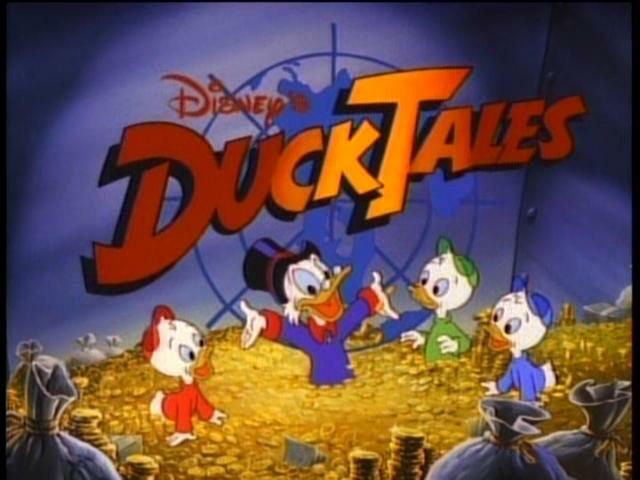 The TV series DuckTales was, for the most part, the adaptation for animation of some of Barks original stories. The series was massively popular and gave rise to a sequel in the form of Darkwing Duck. What set DuckTales apart from other shows was the cinematic quality of the animation. So much so, that when a theatrical film was released (The Treasure of the Lost Lamp) the difference in quality was imperceptible to my untrained (at the time) eyes. That film, apparently didn’t fare too well at the box office, which was a shame but not entirely unexpected. If I had to suspect a reason it’s that not too many adults watched the show, and thus were not as familiar with it as they could have been. By comparison, SpongeBob Squarepants had a pretty large adult following (including both parents and trendy college students) by the time a theatrical film was released. This ensured that it had a significantly larger potential audience than if it were just kids and their parents. So, why would now (i.e. within the next few years) be a good time for a new film? Weeeeeell, anybody who watched the original show is probably in their mid to late-20s with the cut-off being 30 years old, for the most part. With that in mid, they’re probably starting to get married and having a few kids. As humans, we’re suckers for nostalgia, why else would they play classic rock and 80s synth-pop on the radio? There’s a good chance that since all the original viewers have grown up and now have kids of their own, they will be hungry for some link to their youth. A DuckTales film would be perfect and with the recent rash of live-action/CGI movies, it would fit the glove quite nicely for such a production. I write all this in a somewhat sarcastic manner as I believe such a movie would be most likely horrendous. Why on earth I dreamt it in the first place is beyond me and while I would like to see some new animation from the Duck universe, a live-action/CGI film is certainly not on my list of possible ideas.